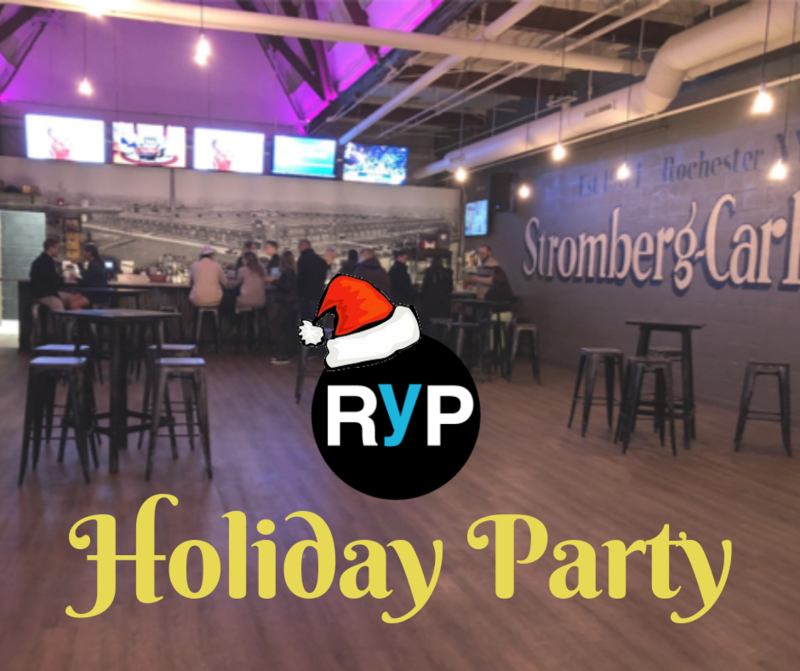 Holiday Party at Comedy @ The Carlson | Rochester Young Professionals, Inc.
RYP welcomes you to our Holiday Party at Comedy @ the Carlson! Located in the North Winton neighborhood, Comedy @ the Carlson is the premier destination in Western New York for all things comedy. Come enjoy drink specials lasting all night and celebrate the close of RYP’s 15th year! Parking is available in the lot across from Comedy @ the Carlson and is FREE! Never been to a Rochester Young Professionals event? Our goal is to create an environment where up-and-coming Young Professionals can get together to network, socialize, and enjoy the company of like-minded Rochesterians. Bring your business card, bring your friends, or just bring a friendly attitude and give it a try!